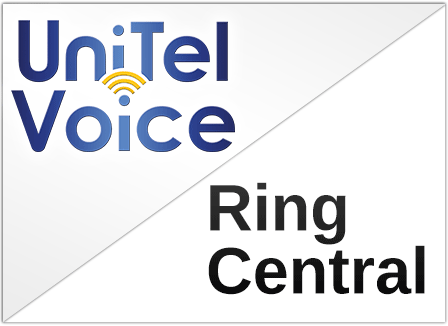 If you’re looking for RingCentral Competitors, you’ve found one, UniTel Voice. When comparing features, functionality, and pricing, UniTel Voice is a competitive RingCentral Alternative. It may be hard to determine which is the best small business phone system based on features and pricing. The biggest difference between UniTel Voice and RingCentral is customer service and support. RingCentral’s customer support is based overseas, whereas UniTel Voice’s customer service is 100% USA-based. UniTel Voice offers 100% free USA-based customer service and support. All UniTel Voice plans include unlimited extensions, voicemails, and all phone system features at a lower cost. UniTel Voice offers free personal one-on-one support with a highly knowledgeable USA-based account manager to help you get set up fast and easy. 1. If you are looking for RingCentral competitors, you should look at UniTel Voice. When it comes to pricing and features UniTel Voice and RingCentral are extremely competitive. When it comes to customer service, UniTel Voice blows RingCentral out of the water for one reason. UniTel Voice’s customer support is based right here in the Midwest, whereas RingCentral outsources it overseas. When you call UniTel Voice you’ll speak with one of our employees who cares about solving your problem. 2. UniTel Voice is an excellent RingCentral Alterative. RingCentral offers a cloud-based Voice Over IP telephone system that has similar features to UniTel Voice’s Virtual Office Phone System. Like UniTel Voice, RingCentral provides both local and toll free numbers and gives customers the ability to setup greetings, extensions, and voicemail boxes. And although pricing and functionality are similar between the two phone companies, service and support are not. Unlike RingCentral whose support is based abroad, UniTel Voice offer 100% USA-based customer service and support. Each UniTel Voice customer no matter how big or small gets their very own personal account manager to help them setup their greetings, extensions, and voicemail. UniTel Voice also includes free professional voice studio at no extra cost. Additionally, UniTel Voice is a cloud-based PBX virtual phone system but it is not VoIP. The calls carried by UniTel Voice’s office phone systems for small business are carried over POTs lines, so the call quality is more stable than VoIP. 3. UniTel Voice is priced and designed for growing businesses. For about $10 per month, UniTel Voice offers a virtual phone system with everything you need to run your business from your cell phone and still sound like you have a professional business phone system. Whether you’re looking for call quality, phone system features or customer service – UniTel Voice is the alternative phone service provider you’re looking for.